OK, perhaps it wasn't a "what happens if? 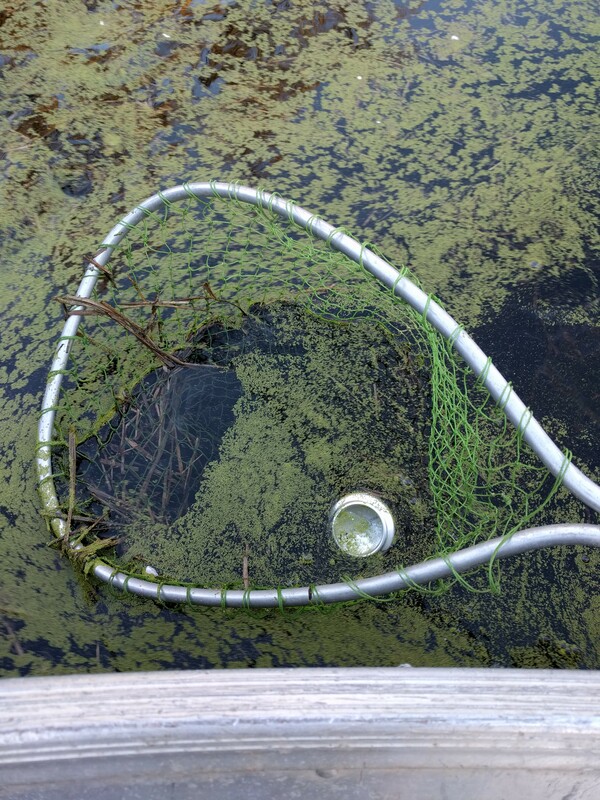 ", but it was most certainly a "If I huck a can of beer into a pond, how foamy will the beer be when I crack it open? ", because honestly, there aren't that many experiments that one can do with a trebuchet.... or are there? 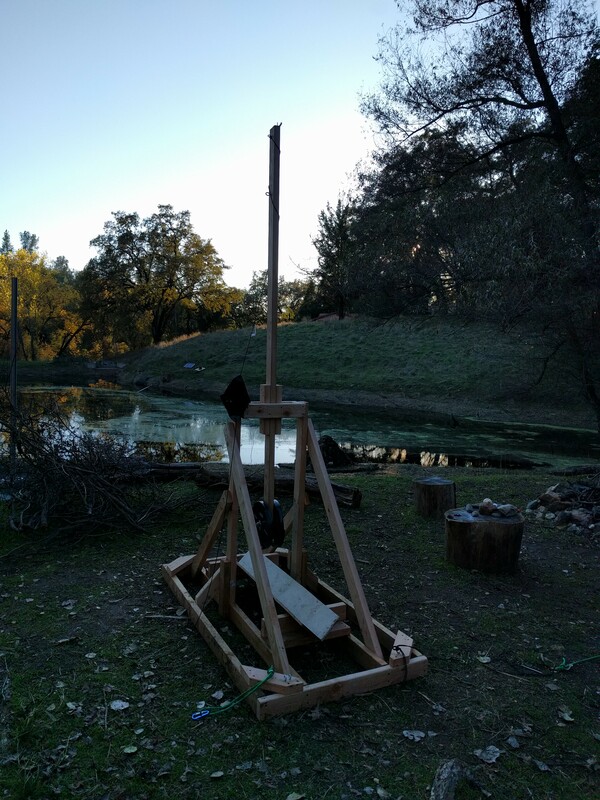 Put can in trebuchet... giver! The can had a few lumps and bumps from hitting the water, but aside from those few surface distortions, the can was just fine, and there was hardly any foam when I cracked the can. 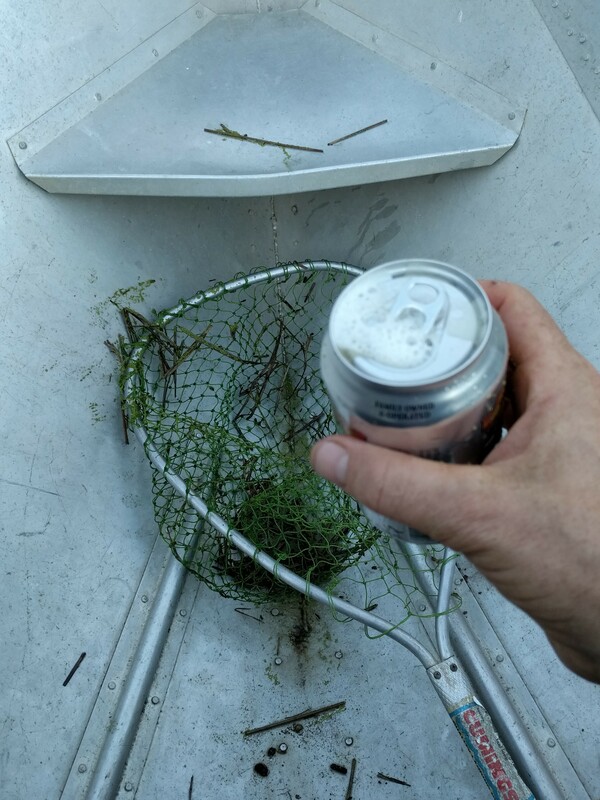 With the exception of a few bits of pond muck, the beer tastes just fine. Oh hey, me without facial hair. 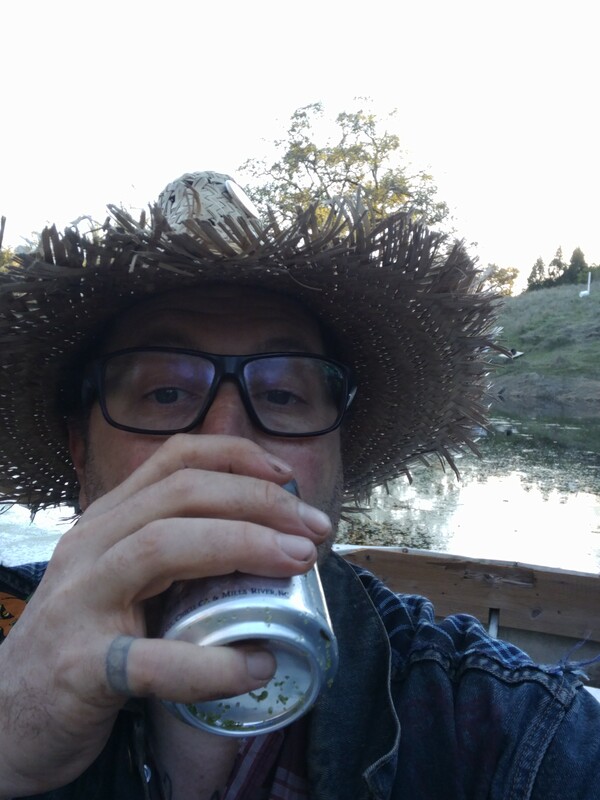 From what I can tell, hucking a can beer into the pond doesn't cause the beer to become overly foamy. Fortunately for me, the beer comes in a 12 pack, and it should be fairly easy for me to reproduce this test multiple times... for science!